La Viñuela is a village in La Axarquia region, which grew during the 18th century around an old inn. The municipality is known for its reservoir, which is the main source of water supply in the region, and is hugely appealing for tourists. 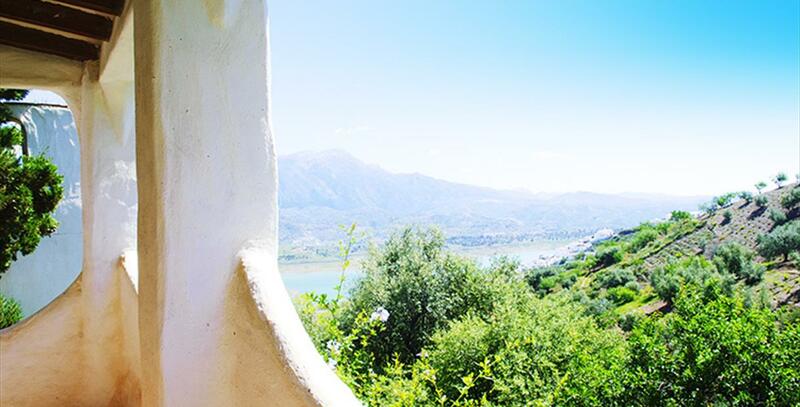 La Viñuela is also home to interesting monuments and archaeological sites, which confirm the existence of human settlement on these lands since ancient times, although it is the most recently built village in La Axarquia. At present, almost one thousand British people live in La Viñuela. La Viñuela has three archaeological sites: one on Los Asperones Hill, another in the hamlet of Los Castillejos and the third in the hamlet of Herrera. Large pots for storing olive oil, and Palaeolithic, Neolithic and Roman remains have been found there. The Torre de la Atalaya (Atalaya Tower) built by the Arabs in the 15th century to defend their territory in Zalia against invasions from the coast. It is made with rock from Pizarra and is 9.5 metres tall. The San Jose Church was built in the 16th century, when the village had not yet come into being. It is a Mudejar-style church with a wooden ceiling. 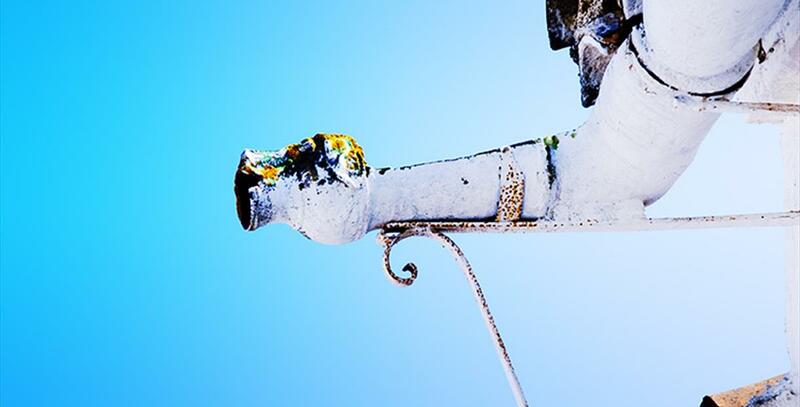 The building was reformed in the 18th century, evidence of which we can see in the bell gable built onto the main facade. The Virgen de la Angustias (Our Lady of the Agony) Chapel dates back from 1888 and was built by a contractor from Granada who was in charge of road works. He had promised that if the roadworks were finished in time, he would dedicate a chapel to the Virgen de las Angustias. Verdial Los Ramones Museum opened in 2015. Inside you can find out all about the history of the verdiales tradition, their costumes etc. The Verdiales is a folk-music tradition in the province of Malaga, in which groups sing fangdangos accompanied by lutes, guitars and violins. La Viñuela is 50 minutes away from Malaga by car, about 51 kilometres. To get here, take the E-15 coming off at exit 272, which will bring you onto the A-356. Continue on the A-356 until reaching La Viñuela. 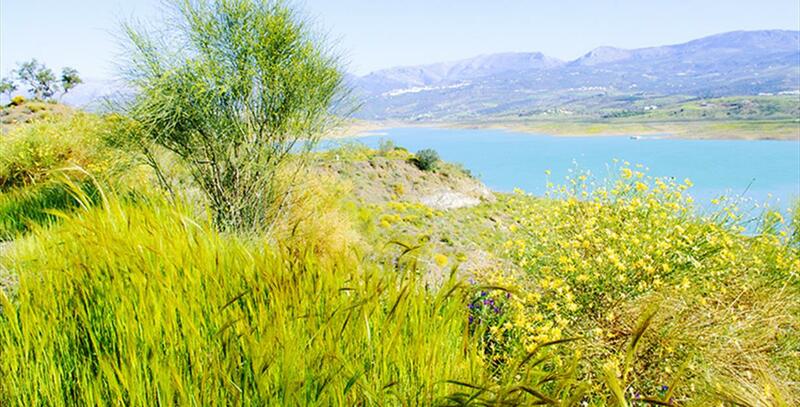 La Viñuela reservoir is a great example of the region´s beauty. Built on the banks of the Guaro river, it is the biggest reservoir in the province of Malaga and the main water supply in the region. It has a recreational area and installations providing water sport activities. From its shore, you can also see the Sierra de Tejada mountain range and the Boquete de Zafarraya, a large opening between mountains. Close by is the La Viñuela Reservoir Visitors Centre, where visitors can find out any necessary information to help visitors get the most out of their visit to this natural environment. La Viñuela has three routes, giving you the opportunity to explore some of the most beautiful spots in the municipality by foot or bicycle. The first travels along the left bank of the Salia river and ends at the reservoir. The second connects the hamlet of Los Romanes with the Atalaya Tower. And the third circles the reservoir. Also worth visiting is the medicinal water spring located in the Chiliano Fountain. The Fiesta de la Pasa, a celebration in honour of the muscatel raisin, takes place in the middle of September. Events such as the Carnival and Verdiales Night (celebrated every June in Los Romanes) are also perfect days to visit La Viñuela. The pilgrimages of La Viñuela, Los Ramones and Los Gomez take place at the end of May. Throughout the summer, three festivals are held. The most unusual is that held in honour of Virgen de las Angustias at the end of July or at the beginning of August. Los Gomez festival is celebrated in honour of its patron saint, La Virgen del Carmen and in the middle of August, the hamlet of Los Romanes celebrates its festival in honour of La Virgen de la Milagrosa. Local products such as game meat, young goat and olive oil are all essential ingredients in traditional Viñuela cuisine. The most typical dishes are ajoblanco (almonds and garlic blended together with bread and oil, served very cold), gazpacho (mainly tomato-based cold soup), berza (vegetable, lentil and meat stew), migas (toasted bread served with pork meats and other sides), tomato soup and pringá (chickpea, vegetable, meat stew served with other cold meats). Subtropical and greenhouse crops have enriched La Axarquia cuisine. The region also produces artisan wines. La Viñuela was one of the first areas to welcome settlers in Axarquía. Its rich water resources and strategic location have attracted dwellers since prehistoric times. The archaeological sites found in the area confirm that the earliest inhabitants date back to the Middle Palaeolithic. The most significant remains have been unearthed in the area of the river Guaro. In the river bed, archaeologists have found traces of the Neolithic, the Bronze Age and Roman times: a brass casting furnace, lithic materials and bell-shaped vases. The town centre developed out of an inn still standing on the main street. It used to lie by the road from Vélez to Granada. The place was known as "La Viñuela" due to a vineyard (viña in Spanish) in the area. Buildings were successively added around the original inn, making a full village in the eighteenth century. The first mayor was Juan Lucas García del Rey, appointed in 1764. 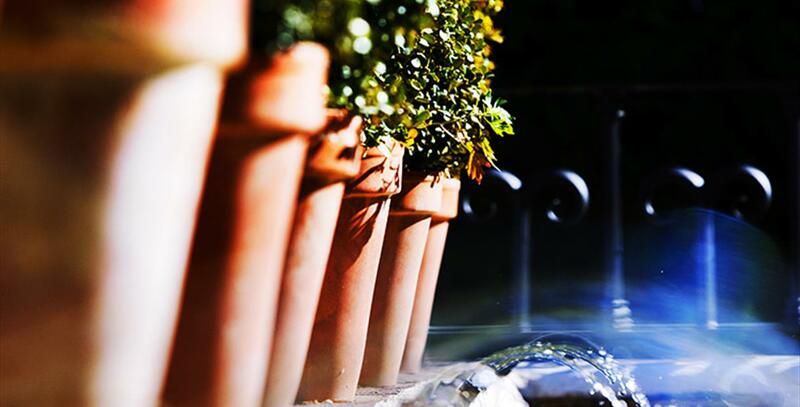 In the nineteenth century, La Viñuela"s population amounted to 700. Most of them were farmers. In those years, the phylloxera plague had devastating effects on the local vines. As a result, some of the fields replaced grapes with citrus. In 1966, the writer Diego Vázquez Otero mentioned the healing waters from Chiliano in one of his works. The same spring also appears in a 1789 text by historian and geographer Cristóbal Medina Conde, who described the waters as similar in odour, taste and properties to those of Fuente Santa or Vilo. La Viñuela reservoir, on the course of the river Guaro, was developed from 1982 to 1988. The work took over 4,000,000m3 in materials. The result was a 565ha reservoir holding 170hm3 water. The area is now popular for the beautiful landscape, the water activities and sports facilities, and the recreational area, featuring barbecues, a football pitch and a mini-golf course.